Sasha is the youngest daughter of Coach Val and Coach Nadia. She is a former level 8 gymnast and has been coaching for 4 years. 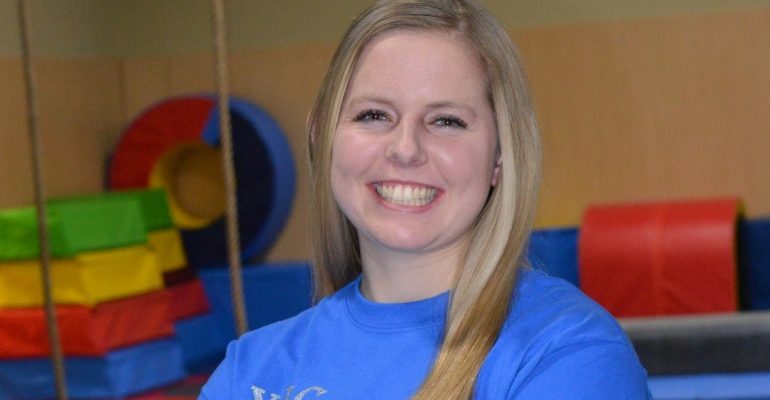 She has experience teaching kids classes, Xcel, as well as Level 1-6. She says her favorite levels to coach are the ones she gets to coach alongside her mom, Nadia. Sasha also helps coach pole vault classes. Sasha is currently a sophomore at the College of William and Mary where she is a pole vaulter on the track team. She is a Neuroscience major and Biology minor that plans on applying to Medical School. She’s a USAG Professional member, has passed her background check, completed the Safe Sport Course, and is certified as one of our meet directors.